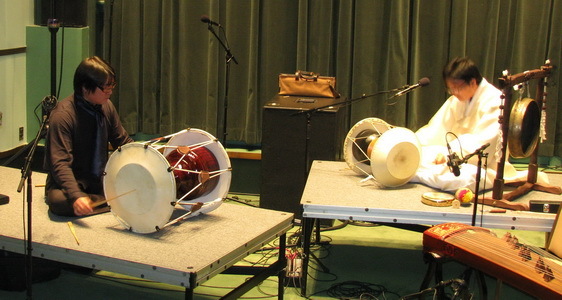 ISIM promotes performance, education, and research in improvised music, and illuminates connections between musical improvisation and creativity across fields. Melding diverse cultures, ethnicities, disciplines, and ideas that shape society at large, today’s musical world is increasingly characterized by creative expressions that transcend conventional style categories. Improvisation is a core aspect of this global confluence of this eclectic musical activity. Initially used to describe jazz and its offshoots, improvised music now encompasses a broad spectrum of formats-from computer music and multi-media collaborations to string quartets, bebop bands and multiethnic fusion. Improvisation is spontaneous interaction between musicians from the most disparate backgrounds, dissolution of boundaries between performers and listeners, and access to the transcendent dimensions of creative experience. Improvisation is at the heart of a new musical paradigm that uniquely reflects contemporary life. Musical improvisation sheds light on creativity in many fields, as corporate executives, educators, athletes, medical professionals and other practitioners recognize an improvisatory core to success and fulfillment in their respective disciplines. ISIM brings together artists, listeners, teachers, industry professionals, and researchers, to further the growth and understanding of improvisation in our educational systems and society at large. Why ISIM? Do we really need another organization, another email list, another newsletter, another conference to attend? The more I think about these questions, the more I return to the core idea of the organization, and why ISIM is not only needed, but has the capacity to be truly unique among music organizations. We have entered an extraordinarily exciting time in the history of music, when musicians have access to an unprecedented expanse of influences and creative strategies. While improvisation in one form or another is increasingly central to this global synthesis, a significant gap looms between the improvisation-based aesthetic paradigm that guides musical practice, and the aesthetic awareness that prevails in the music industry, academic musical world, and society at large. We are compelled to address these problems not just because they may affect our personal work, but also because they reflect a lack of awareness of the unifying and transformational power of music and art that is undeniably important to our times. 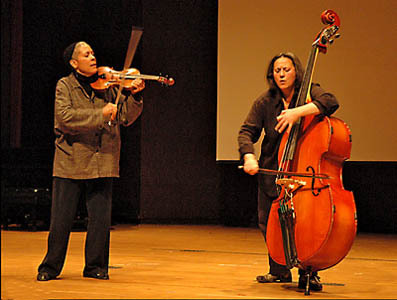 Stephen Nachmanovitch compares the peak experiences possible in improvisation to the “ecstatic states of the Sufis,” as a result of which “performers, audience, instruments, the room, the night outside, space become one being, pulsing.” In Melba Liston’s words, “everybody can feel what each other is thinking . . . You breathe together, you swell together, you just do everything together, and a different aura comes over the room.” A new aesthetic paradigm emerges that is grounded in the simultaneity of creation and performance, the merging of artists and listeners, the communion between musicians of highly disparate backgrounds, and ultimately the access to deeper dimensions of consciousness through improvisation’s spontaneous and integrative creative pathways. When Steve Lacy stated “there is a music that must be composed. There is another music that can only be improvised,” he was not dismissing composed music—the beauty and importance of which few would deny—but rather he was acknowledging the uniqueness of the improvised. A wider embrace and understanding of improvised music may also offer insights into creativity in a variety of fields. Central to success and fulfillment in a variety of fields—from sports, to medicine, to business, to education—is the ability to engage in moment-to-moment creative activity that is highly improvisatory in nature. While ISIM’s primary thrust is, naturally, improvisation in music, the probing of extramusical ramifications can be seen as an organic extension of this process, and a cross-disciplinary approach to improvisation may even in turn illuminate improvisation in music. ISIM brings together artists, listeners, teachers, critics, scholars, and industry leaders to celebrate the unifying power of improvisation in music and beyond. Please consider joining us in this important and exciting endeavor. In the educational arena, ISIM promotes the creation of pedagogical materials that foster the development of improvising skills. At present there is a large volume of style-based improvising methods, particularly in jazz, and these are of great value. However, there is a great shortage of methodologies that deal with improvisation from what might be called a “trans-stylistic” vantage point, methodologies that focus on the processes of spontaneous invention and interaction as they might apply across styles. The ability to transcend stylistic boundaries is very important for today’s musicians. ISIM will lobby for curriculum reform, and play a pro-active role in designing curricular initiatives in which improvisation is a central aspect of musical study. This is the mission of the ISIM Curriculum Project, which will explore new possibilities for a core curriculum for our times. ISIM Conference is hosted annually beginning in 2006. The purpose of this conference is to host workshops, seminars, research presentations, and training of all kinds by experts on improvisation from all over the world. ISIM creates Student Chapters in public and private schools. These chapters are led by a faculty advisor, serving functions including creating a local support system for improvised music, hosting local performance events and workshops, and establishing student networks world-wide.